But Christians are not the only ones in a season of “waiting” this December. A small number of conspiracy theorists have been predicting December 21st as the end of the world. The idea arises out of some Mayan records which cite that date as the end of an era—the ending of one cycle of creation and the beginning of the next. While Mayan scholars dismiss doomsday interpretations of these records, believers think the Mayans knew something we don’t— that some great catastrophe is coming and that humankind’s time is drawing to an end. Consequently, this has been a year of great darkness for doomsday believers. They have been living under the shadow of death, a shadow growing ever blacker and grimmer as December 21st approaches. How different from the Christian’s hope! We too dwell under the dark shadow of death, but it is a shadow we know is defeated. We await reunion with our Lord Jesus; doomsday theorists see only the approach of death. 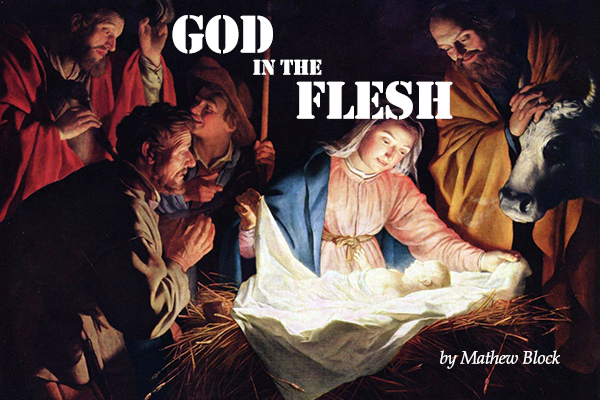 At the first Christmas, God Himself entered into our world. In Him was Light, a Light that was the Light of all mankind; and that Light broke into the darkness (John 1:4-5). Yes, on the people dwelling in darkness a great Light dawned—and it forced the shadow of death to retreat (Matthew 4:16). 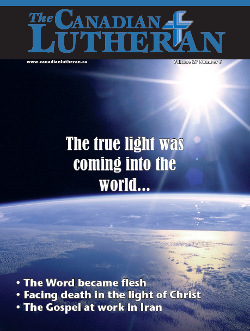 Check out the full article entitled “Joy comes with the morning” over at CanadianLutheran.ca. ‘Twas the night before – X-mas? Winter Festival? December Holidays? Festivus? As Canadian society moves in an increasingly secular direction, public disagreement over what to call the season becomes more common. But even when we retain the historic title Christmas, the average person’s thoughts run along the lines of Santa Claus, family dinners, taking time off work, and gift-giving (or getting). The birth of Jesus, if remembered at all, is at best an afterthought. While perhaps the third most important day in the Christian calendar (after Good Friday and Easter), it appears Christmas has lost much of its religious significance for the world around us. 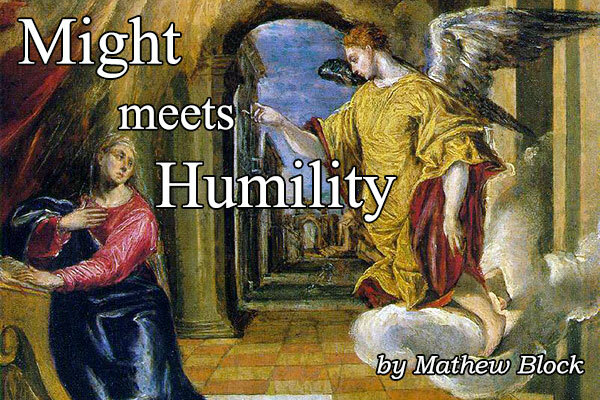 So begin my thoughts in a recent article for The Canadian Lutheran. Entitled “The battle for Christmas,” the article highlights the tensions between Christian and secular understandings of the holiday/holy-day, presenting a historical framework in which to view a very contemporary concern. Check it out in pdf form here or in standard web-format here. 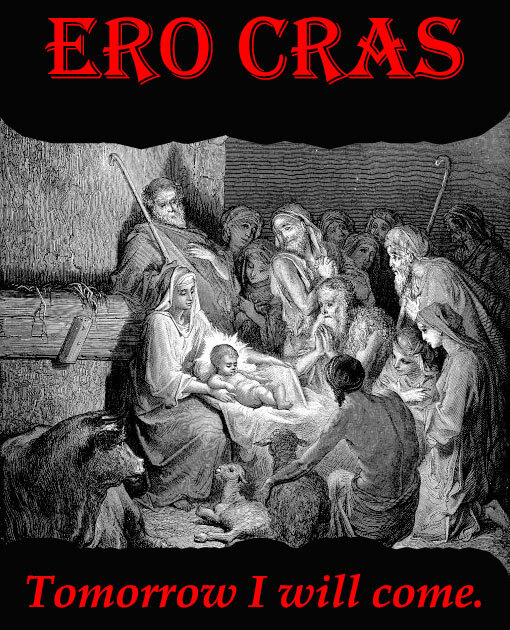 (The pdf has an additional subarticle entitled “Keeping Christ in Xmas”, which discusses the origin of the “Xmas” abbreviation which – despite common perception – is actually Christian in nature). Captain Thin is powered by	WordPress 5.0.4 and delivered to you in 0.498 seconds using 39 queries.